At East Madison Little League, we invest in children and families. Children will become our future leaders and productive members of society. We run a top-notch baseball and softball program in the heart of Madison, WI. Each spring, approximately 400 children play nearly 200 games on our fields. More than 1,000 parents, relatives, and friends come out to see some exciting games. We are committed to each and every child who participates and to the families who support them. Our goal is to see each child develop character, cultivate friendships, learn the value of teamwork, become physically involved, utilize thinking skills, and understand the importance of sportsmanship. These are big goals and we would like you to join us in helping to accomplish them. How? By becoming a sponsoring partner of these children and their East Madison Little League. 100% of your donation goes toward helping ensure a great experience in the lives of these children. It’s easy for you to become part of this future generation’s Little League experience. This is an experience that will be memorable and benefit them and Madison long after they leave the field. Home Run Package ($450) Your company's name and logo will appear on a billboard sign that will remain up through our spring, summer, and fall seasons (April to November). They are approximately 4x6 feet and are prominently displayed on our outfield fences. With 400 kids, that means a lot of family and friends will see your name throughout the week. Since our billboards stay up during summer and fall, that means triple the exposure. Walk-Off Package ($600) With this package, your company sponsors one team. Your company's name and logo are displayed on the front of every jersey. Also, the team will adopt your company's name as their team name. For example, "We're playing (your company's name) tonight at 5:00." Championship Package ($850) This package combines both the Home Run and Walk-Off Package, giving you a $200 discount. Along with a team and a company billboard, you'll also receive bonus sponsorship exposure such as side-bar positioning on our website and promotional posts on our Facebook page. Grand Slam Package ($1000) This package gives you prime exposure at the fields. With this package, you get the Championship Package, with an added bonus of choosing your billboard location. Choose from either one of the 8 dugouts, or along the fences as you enter and exit the fields. 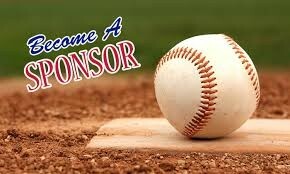 Please contact us at emllsponsorship@gmail.com if you would like to be a sponsor of East Madison Little League or have any questions. Team sponsorships are at a premium and we will make every effort to get you a team. In the event that a team is not available, we will contact you with different available options. The deadline for sponsorship is March 15.